Today’s fast paced and stressful life often takes a toll on your health. Owing to long working hours, there is hardly any time left for us to prepare meals on a daily basis. Moreover, situation becomes even worse when you have to stay away from your home in which case having outside food or tiffin service is the only option available to you. This often results in weight or rather fat gain which is the source of almost all other lifestyle diseases like diabetes, cholesterol, blood pressure etc and so on. Does everyone need to Detox? Through Detoxification, you can rid of unwanted, unhealthy and unwanted substances from the body. This can be done in many ways. One popular DIY of flushing out toxins from your body is by simply drinking lots and lots of water. Cant drink too much water? Try this. Add a few other elements to your water to give a refreshing flavor. Apart from improving the taste of water, these elements make also firther aid in the detox process. So chug along to get those desired results of healthy body and skin! Also, now that the summers are in on full swing, it becomes absolutely essential to keep our body super-hydrated not just with water but also with some key ingredients who act as coolants and at the same time also give us innumerable health benefits. Read this post for some interesting detox options. 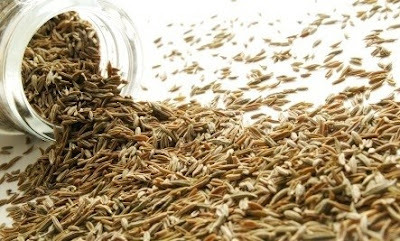 Simplest and by far the most effective drink which you can try for detoxification is ‘jeera water’. For all those of you who may not know, jeera or cumin as it is also known as is a good coolant. All you have to do is to boil five cups of water and simply add one teaspoon each of cumin as well as fennel. Once this mixture starts boiling, take it off the gas and keep it covered for sometime. After some time, strain the cumin and fennel and add lemon juice to the water. If you are seriously targeting weight loss, then this drink is an absolute must have for you and that too, before every meal. Simple, isn’t it? When you add lemon, mint and cucumber to water, you can imagine the drink to be nothing less than a virgin margarita right? And if we tell you that you can actually have this drink for your detox process, will that not make detox more fun? All you have to do here is to put in handful of mint along with sliced lemon and cucumber to a bottle of cool water. Once you do this, allow the mixture to settle for few hours and only then have it in order to get the best results. Let it sit for a couple of hours and your detox drink is ready. 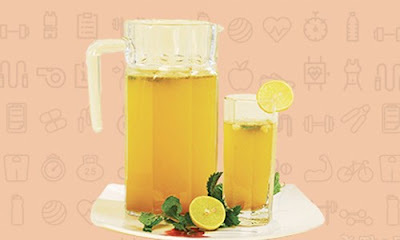 This detox drink helps in giving your dull metabolism a kick due to which you start losing weight easily. For best results, have this mixture after every two to three hours. We all know that ‘an apple a day keeps the doctor away’. So now that we are talking about good health, how can apple stay away? Just finely slice an apple and add few sticks of cinnamon to it. Add both the apple as well as the cinnamon to a bottle of chilled water and keep the mixture in the fridge for some hours and then have this yum but healthy detox drink. With so many doctors and diets coming into practice every other day, it becomes extremely difficult for common people like us to know which one is genuine and has the most effective weight loss or detox program. One such reputed place where you can enroll for a detox program is DrLalchandani Labs who work tirelessly to offer you the best and the most genuine aid and advice when it comes to detoxification.